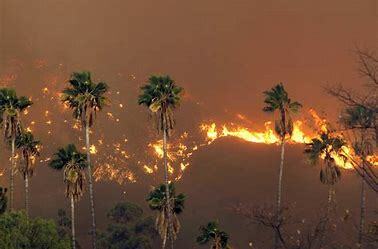 The wildfires that have been occurring in California for the past couple of weeks have claimed more lives over the weekend. As of Sunday November 18, the death toll from the "Camp Fire" in Northern California has increased to 76 on Saturday while the number of people unaccounted for increased to 1,276. The blaze is now 55 percent contained after consuming more than 149,000 acres, according to CBS News. The Los Angeles Times reports that some 50,000 residents are displaced, scattered to relatives’ spare rooms, motels, and a Walmart parking lot turned refugee campground. After visiting Paradise, California, an area heavily affected by the wildfires, President Trump took to Twitter last week in which he blamed forest management for the fires, reported NPR. "There is no reason for these massive, deadly and costly forest fires in California except that forest management is so poor," Trump tweeted, threatening to cut off federal funding for forest management. "Billions of dollars are given each year, with so many lives lost, all because of gross mismanagement of the forests. Remedy now, or no more Fed payments!" Despite Trump’s tweets, California’s governor is expressing optimism that President Donald Trump will support the state as it deals with raging wildfires, according to the San Francisco Gate. Democratic governor Jerry Brown said in an interview on CBS “Face the Nation” that the Republican president has “got our back” and has pledged to continue to help.